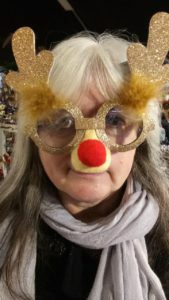 Just a very quick message – I wasn’t planning on sending a writing tip today, as it’s Christmas Day, but I had an idea so I thought I might as well share it . . .
Of all the people you are spending time with today, who would make the best protagonist? And who would make the best b addie? 🙂 You don’t have to tell them, hehe! Why you have chosen those two people? Any tips there for your writing? Hope you have a wonderful day, celebrating the birth of our wonderful Saviour! ← Does That Need Updating?